It’s long been known that “breakfast is the most important meal of the day” and your mom has probably tried to remind you of this more times than you can count. However, it’s safe to say that your mom was onto something. She wasn’t just saying this to be a nag, and she certainly wasn’t saying this to make you eat your dry porridge (okay, maybe she was). Science has proven that breakfast really is as important as the phrase suggests, and this is why you should never skip breakfast. Are you tired of waking up with a stuffy nose and making your way through a whole box of tissues every few months? Well, eating breakfast in the morning can actually help your immune system. That’s because healthy breakfasts are packed full of nutrients that can help you maintain a healthy body. In fact, you can drink a whole heap of antioxidants when you drink your breakfast tea, and your yogurt can fill your body and your gut with probiotics. Just think of all those tissues you could save. 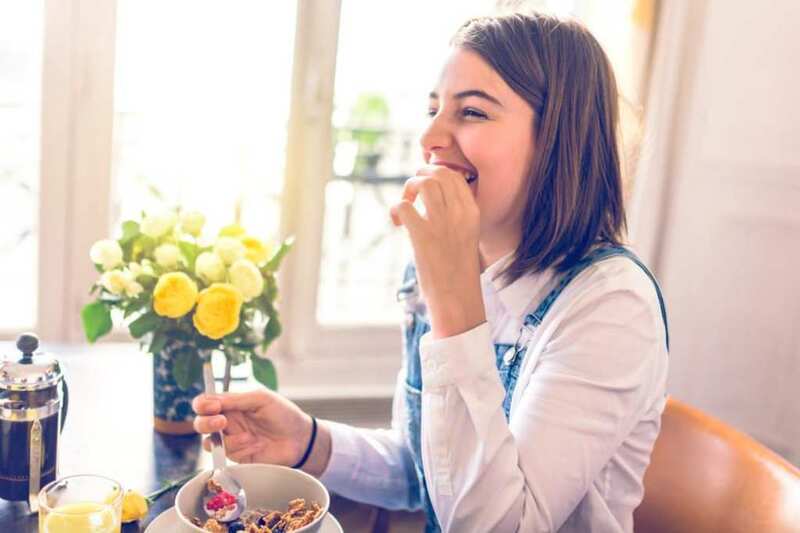 Type 2 diabetes is something that affects people across the world, and the American Journal of Clinical Nutrition has noted that missing just one breakfast meal each week could increase your chances of developing Type 2 diabetes. It’s believed that this has something to do with the sugar within your breakfast. After a long night’s sleep, your body needs to regulate the insulin levels in your body – and sugar can help to do that. Okay, so it may seem pretty backward to say that you can lose weight by eating breakfast in the morning, but breakfast does seem to be linked with weight loss. If you eat in the morning and then maintain the three-meal-a-day rule, it’s believed that you will be less likely to snack and ultimately gain weight. After all, there’s nothing worse than being hungry just an hour into your work day. You can often find yourself reaching for the office donuts, and nobody wants that under their waistband. Heart disease affects more and more people every single year, and it’s important to do everything you can to keep it at bay. One of the best ways to do this is to eat your breakfast in the morning. Although it’s not known how breakfast can ward off this disease, a study carried out by experts at Harvard University has found a direct correlation between those who skip breakfast and those who develop heart disease. Although we understand that people live busy lives, we can’t understand why people would want to skip breakfast anyway. Why would you not want to fill your body with yummy fruit, pancakes, or cereal? It turns out that eating this breakfast can also drastically improve your life – so why not give it a go? Don’t skip your breakfast tomorrow morning.